Liz Wainger’s entertaining and dynamic presentations leave audiences with strategies that can be implemented immediately to deliver results. 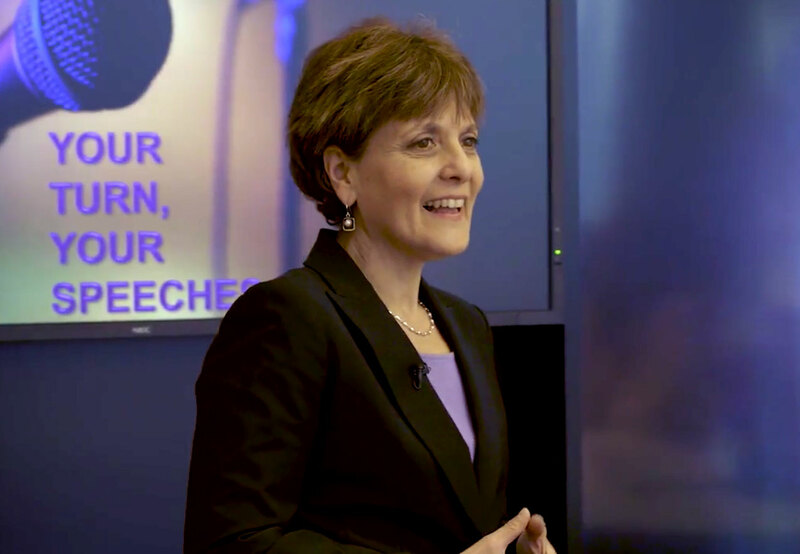 Liz Wainger’s interactive and customized presentations inspire businesses, nonprofits, and individuals to connect, engage, and delight—cutting through the clutter to reveal your true value and get the attention you deserve. For more than two decades, Liz Wainger (rhymes with “ranger”) has been a speaker, writer, trainer and public relations advisor who shows people how to get their point across for success. Her work has appeared in Huffington Post, The Washington Post, and Washington Business Journal. In 2015, she was named by the Washington Business Journal to the distinguished cadre of Women Who Mean Business. This lively presentation shows how to move from “list-speak” to” value-speak.” All relationships depend on exchange – material or emotional. Too many of us suffer from the “Listmaker Syndrome,” boring people with what we do rather than why it matters. This program will show you how to build a strong personal or organizational brand with the people who matter most to your success. Before you can be sticky, you need to be shticky. You’ve heard the importance of creating sticky messages that people remember. Getting noticed is getting harder. Having a distinct brand persona — with a signature look, phrase or perspective — commands attention. Those who have found their inner “shtickiness” are not just memorable, but impossible to miss. Liz helps you find yours. Learn why The Wizard of Oz offers real-world examples of communications at its finest: from great messaging to team-building. Dorothy, an unlikely but brilliant communicator, mastered the five key elements that are essential to effective communications. With short attention spans and 140-character limits, it’s important not just to tell people who you are and what you do, but to convey how your pursuits matter to your listener in a brief amount of time. Learning to craft an effective elevator pitch will help infuse all of your communications with messages that win sales, support, and interest. Reputations take years to build but can be destroyed in seconds. A workplace accident, executive bad behavior or a natural disaster can cause long-term financial and reputational damage. In this presentation, Liz provides tips on how to prepare to respond quickly, appropriately, and effectively. You can’t control Mother Nature or employee mistakes. You can control how you deal with them.